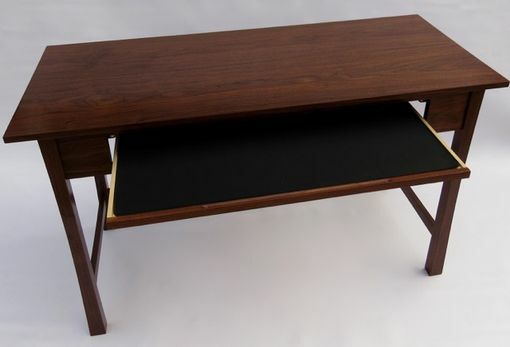 Black Walnut writing desk with a pull out keyboard tray. 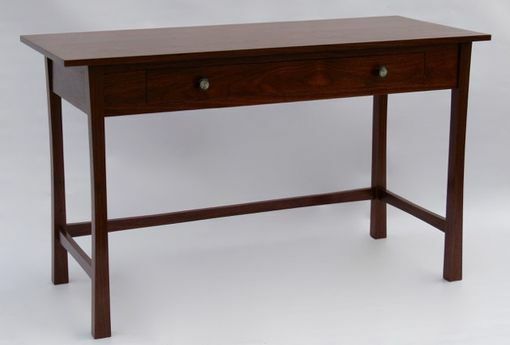 This desk is built with mortise and tenon joinery and finished with a clear oil finish. 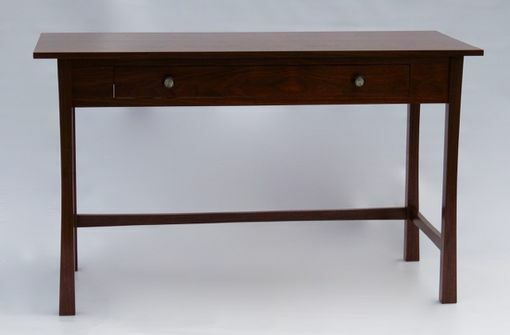 This desk can be ordered to your personal dimensions and can have a drawer or key board tray.